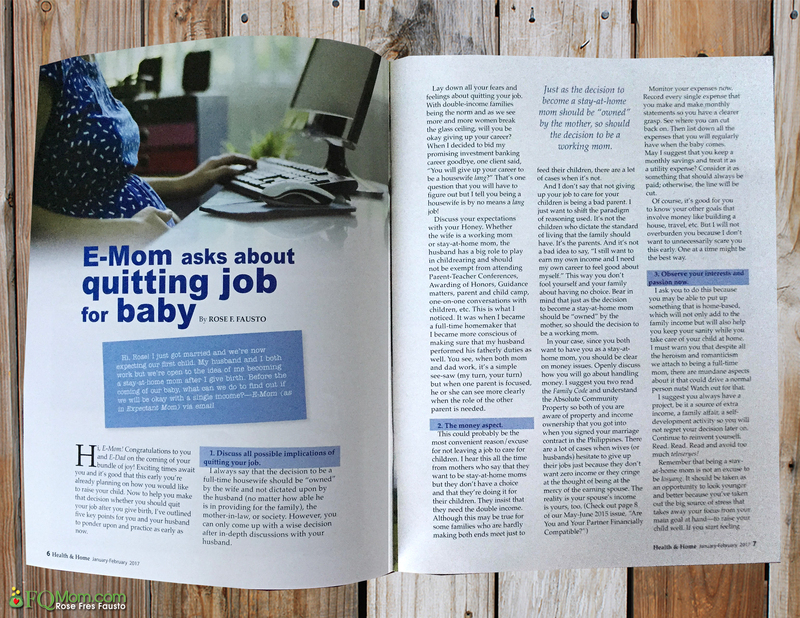 A reader asks about quitting her job when the baby comes. She asks for guidelines on how she and hubby can figure out whether they can settle for single income. 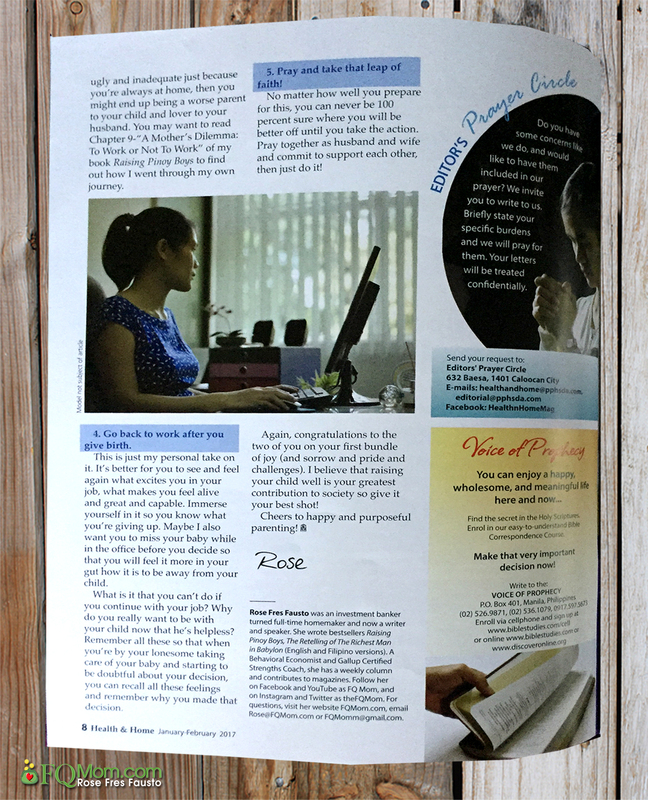 Out in February 2017 issue of Health and Home. Health & Home magazineTo quit or not to quit?